If you are suffering from a severely damaged tooth or are in need of a root canal or other restorative procedure, a ceramic dental crown or bridge can be an excellent option for your tooth restoration. A crown is typically used to restore a damaged tooth back to its natural look, and a bridge is simply a series of crowns that are used to restore multiple teeth or to “bridge the gap” between missing teeth. 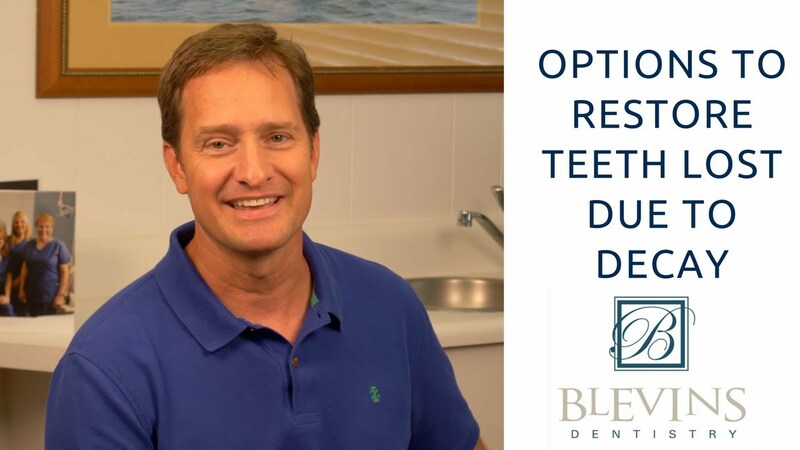 What makes dental crowns and bridges at Blevins Dentistry different from many other dental providers is that we turn the dental crown process into a single, one-day event, meaning that you can receive your dental crown and get on with your life. At Blevins Dentistry, we have a CEREC® crowns machine that enables us to take a digital impression of your teeth at our office, which removes the need for manual impressions and having to get an off-site dental lab involved in the process. After the CEREC® CAD/CAM system takes a 3D digital impression of your teeth, Dr. Blevins is then able to use the CEREC® milling process to provide you with a perfect ceramic dental crown or a bridge that fits perfectly. The end result is a complete restoration that improves your smile, self-confidence, and overall dental health. If you would like to learn more about single visit crowns and bridges from Blevins Dentistry, give our office a call today or contact us to schedule your appointment. We look forward to seeing you in our dental practice soon.